More than half of Virtonomics players in real life are active entrepreneurs, managers from completely different industries. Many of them are your potential partners for your real business. Use Virtonomics to establish useful business connections and contacts. In the gaming environment, the distance is reduced to zero. Franchise. Entering a game of a new product or service under your brand. Players produce it in their factories (more than 70% of players are involved in the production) and retail (retail covers up to 95% of the players’ audience). Players receive a product that will become part of their business. In addition, to support the promotion of the brand in the game can be introduced by the company-carrier of the trademark, manufacturing or trading products. In addition, the game can be introduced branded gaming innovations – “improve” the business. They can help hire qualified virtual personnel, install modern equipment in the office or production, raise the quality of products, provide insurance of risks and much more. Such innovations can bear the name of your company. Auction your products. The mechanism of the auction is realized in the game process. You can sell your real product to game users. Game cases, missions, competitions. In Virtonomics, you have a lot of opportunities to encourage players to interact with your brand. One of the effective ways – cases and missions. The simplest example is that each player who has sold 1000 units of your products in their virtual stores receives game bonuses. Variants of scenarios of stimulating cases can be mass, we are ready to develop them individually for you. 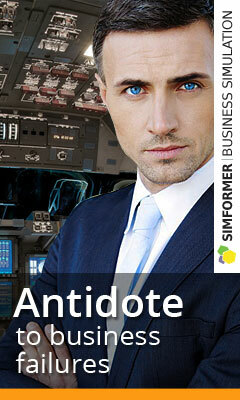 Your Corporation in Virtonomics is a complete solution. In our opinion, the most ideal from the point of view of efficiency is the complex solution – the creation in the game space of your own corporation with your brand, which produces and sells in the game goods and services under your Brand Name, and uses all the tools described above for your representation in Virtonomics. Virtonomics is also an ideal platform for testing your new marketing concepts and promotional messages. 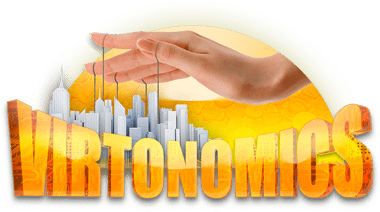 You can independently place your advertisements in the Virtonomics banner network and get instant feedback. We are ready individually for you to develop a comprehensive effective program for integrating your Company, Product, Brand into the Virtonomics business simulator.